Now this is a beautiful diamond who really could be a girl's best friend ever! Diamond is a spayed female Pit Bull Terrier dog who's found herself at the shelter hoping for a home. Diamond is a senior girl - 8 years old. She loves to play with toys and is hoping she'll have some of her own in her new home. She walks nicely on a leash and loves to give kisses. Watch Diamond's adoption video and then contact the Humane Society of Missouri at 314-951-1562. 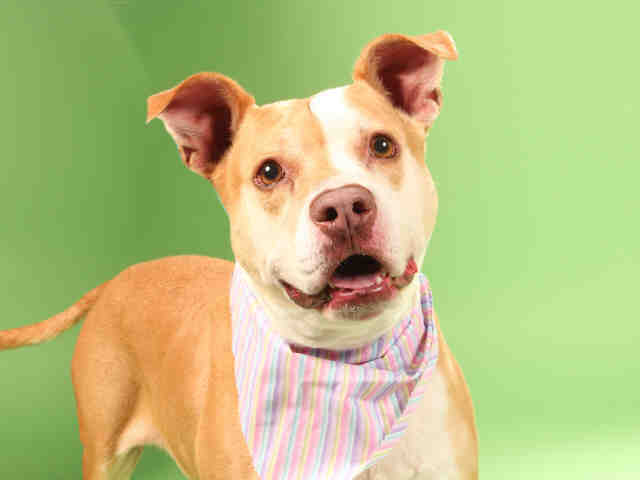 Diamond is at their St Louis City animal shelter and her animal ID number is A593617. 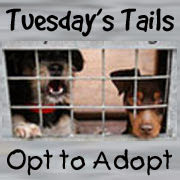 We love to see these doggies get a chance at a new home. Diamond is beautiful! Sharing and hoping she finds a new home real soon! That is some terrific smile and we'll share.. Come on forever home, someone is waiting for you! What a beauty she is! Hope she goes to her perfect home soon. Diamond is beautiful! I hope she finds a home soon. Aww she's 8 years old just like Joy that I posted this week. It's so sad that these older dogs end up homeless. I hope she finds a wonderful home soon, sharing. She has a lovely face! I hope she gets a good home soon.